When I posted my original bulletproof coffee recipe, I was surprised to learn how many people don’t drink coffee. And after chatting with friends over the last few months, I’m realizing there are A LOT of people who are opting for tea over coffee these days. 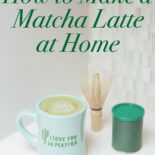 I love a good matcha latte, so I figured I’d find a way to marry the two! I came up with a little recipe for ‘bulletproof’ matcha in the mornings, and it’s pretty tasty. All of the bulletproof benefits, but without the coffee component. 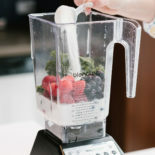 Essentially, you just blend it all together! 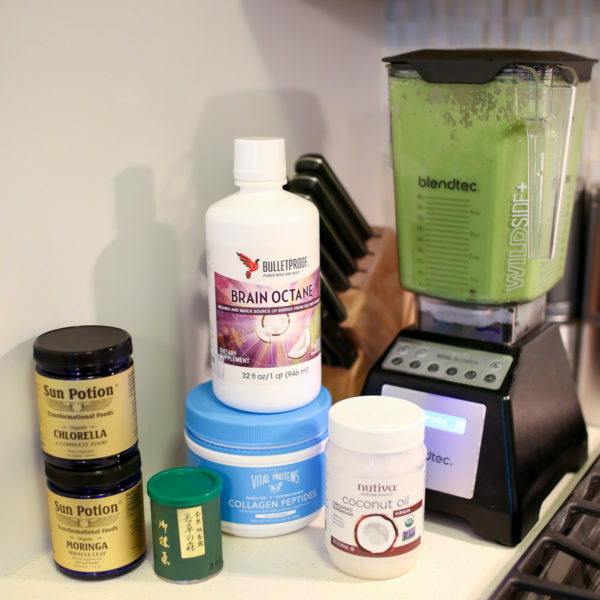 I start by adding my hot water first, MCT oil (or Bulletproof Brain Octane Oil) and coconut oil, and then all of the dry powders. Since it’s already green and I’m always looking for ways to sneak in superfoods, I like to add chlorella and moringa! Now that it’s summer, you can always pour over ice to enjoy! But I’ve found that making it with hot water does make all of the difference with having the coconut oil melt and all of the ingredients blending properly. 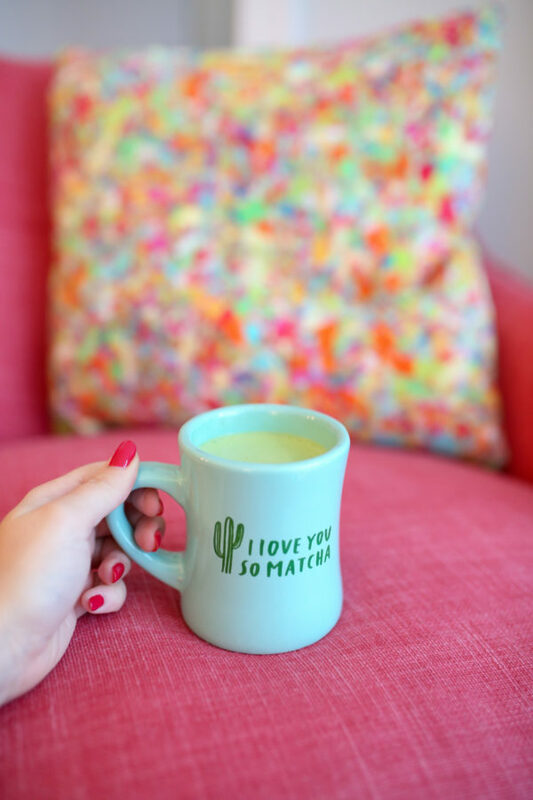 With bulletproof coffee, ghee is a main component to get your metabolism going for the day, but the buttery taste is too much for me when mixed with matcha. That’s why I went with coconut oil instead! It’s still a ‘healthy fat,’ but has a much smoother, complimentary taste. For collagen powder, I have and love both Vital Proteins and Zint Nutrition! For my matcha powder, I’m still going strong with what I stocked up on when I was in Japan in November. But you can find high quality Japanese matcha online thankfully! 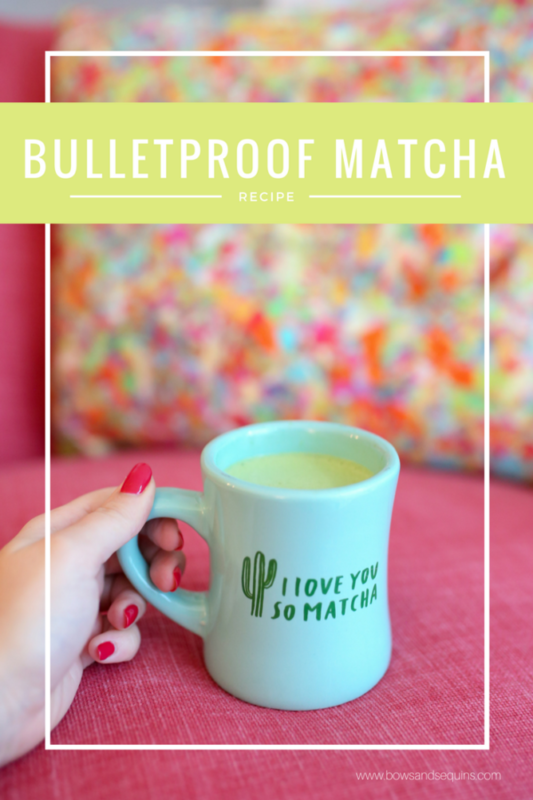 I haven’t even thought about making bulletproof matcha! I’ve been really interested in the bulletproof coffee, so I’ll have to try this out too! This looks delish! I bought some Macha but haven’t used it yet. So excited to try this!! PS for anyone looking for a good matcha place, I get mine from Mizuba Tea Co’s online site MizubaTea.com. They’re based in Portland and it’s sooo good!